Educating yourself on how insurance coverage and legal matters work in car accidents is crucial to fearlessly embracing your return to feeling great. There are many scary things about enduring a car accident, but fear of getting yourself taken care of should NOT be one of them. You’ve been paying for car insurance all this time for a reason, and that is not only to repair your car in an unfortunate event, but also to repair your body. It is easy to feel overwhelmed, even without the decreased mental acuity, headaches and anxiety that are a natural part of your likely injuries. This article is here to walk you through the process of getting your body recovered to full health quickly, so that the pains you may be feeling now don’t linger for up to years to come. Going back to the moment of impact, here’s the first on the list of things to consider doing. Assuming you are mobile following the accident, swapping insurance numbers, phone numbers and taking photographs are all recommended. Everyone thinks to call the police, but unless it is a major accident that is blocking traffic or with seriously injured people, they are unlikely to actually come to the scene. Victims also consider if they should go to the hospital at this time. This is clearly a judgment call based on how severe the injuries are perceived. Keep in mind that insurance companies have a set amount that is “guaranteed” (usually $15,000 per person in Oregon) in their “PIP” (Personal Injury Protection) before settlements need to be made. Knowing this, it is a good to avoid high hospital costs and emergency transport if you think you may not really need it. Most often, they will take x-rays at the hospital and write a prescription for painkillers or muscle relaxants, telling you everything looks okay (along with a bill that may equal up to half, if not all of, your PIP on day one). But there is usually a big gap between looking okay and feeling okay in the coming days. The next crucial step is to contact your auto insurance company and get a claim number. If the accident was not your fault, the other driver’s insurance will ultimately pay your bills, but your insurance company will collect from them. 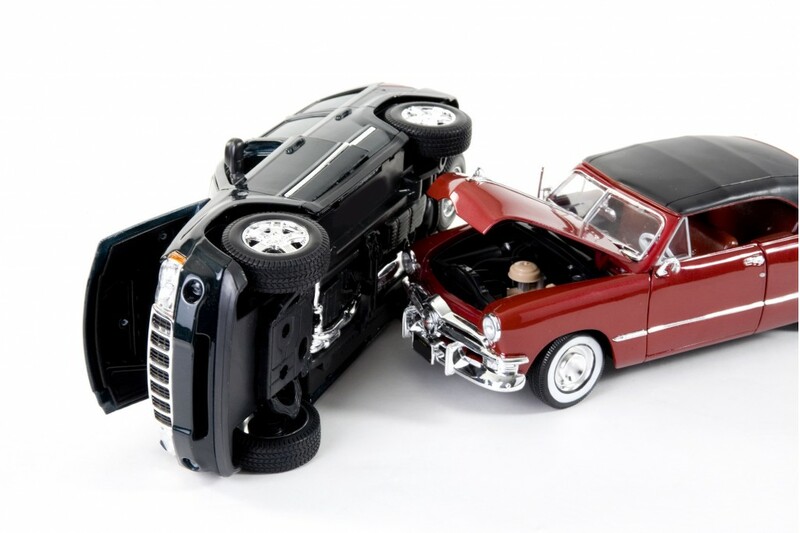 If it was your fault, or your accident was with an uninsured motorist, your insurance should be the one to cover it. Typically, PIP coverage is pretty much guaranteed up to $15,000 in medical bills, assuming you have medical proof of your injuries. If that amount is exceeded, that is when further levels of discussion are required, usually leading to a “settlement” and possibly requiring the help of an attorney who specializes in auto injuries. These are general and most common guidelines- but you must find out exactly what your coverage is for your particular situation. Learn what the coverage is for your PIP, how much insurance the at-fault driver has, and if you have coverage on your policy for an underinsured motorist (UIM). Get all the facts now, and it will help you understand how the process is going to work for you and your healthcare providers. WARNING: Although the insurance companies will ultimately make sure you are covered, they are very eager to get things over with as quickly as possible. It is not uncommon for you to get a call or a visit within a few days or weeks of your accident from an agent (from the at-fault driver’s company) trying to get you to “settle” for a few hundred dollars. Though the money will be tempting, this is a legal tactic for you to declare the case over, and unless you believe yourself to be feeling 100%, with no doubt whatsoever- DO NOT take this bait. People can take months to years to fully recover and you must not feel rushed in this process (though they will do their best to make you feel this way). And, above all else, DO NOT allow them to take a recorded statement from you. As innocent as this may seem at the time, it will only be used against you. By now you may have a pounding headache, a neck stiff and aching, a back tight and painful, difficulty sleeping, blurred vision, and a myriad of other discomforts. You may be thinking (and hoping), “I just need some days to rest, and this will all go away”. Unfortunately, in cases of car accidents (even just minor fender benders), your body has sustained veritable trauma and a little rest and ice is unlikely to eliminate your symptoms completely. People often feel certain pains immediately or on the day of the accident, though it can be up to two weeks or more for all the symptoms to really settle in. You will need a primary-care doctor as your first healthcare team member, as it is their referrals to other providers that ensures your insurance will cover their care. You can choose to work with a DC (Doctor of Chiropractic), MD (Medical Doctor), or ND (Naturopathic Doctor) for this. According to Dr. Jess Barr Desbrow, DC in Southeast Portland, the typical care team for her MVA (motor vehicle accident) patients consists of a Massage Therapist at the very least, and often an Acupuncturist, and Physical Therapist. “Every patient requires different care for their unique injuries. Some need X-rays and MRI’s, and others may get referred to a Dentist, Counselor, Orthopedic Specialist, or Rolfer, to name a few”, Dr. Desbrow states. 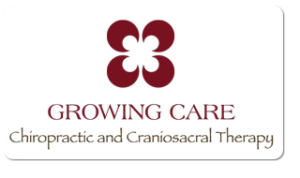 Her own care consists of hands-on muscle and joint work, from a Chiropractic and gentle Craniosacral Therapy perspective. She treats all populations and specializes in working with pregnant women and children. “The worst you thing you can do is nothing,” according to Desbrow. From her experience, she shares that “it is not that hard to get back to feeling 80% better, but that last 20% may never come without good hands-on restorative care and rehabilitation”. And she warns to not neglect care for little ones that may have been involved, even if they can’t tell you how they feel. Plus, your insurance company (and jury, if it comes to that) will be suspicious of the severity of your injuries if you waited weeks or months before seeking any care. Exchange insurance information with the other driver and take pictures if you can. If you are severely injured, go to the emergency room. If not, then don’t. Call the police, but don’t be surprised if they do not come to the scene. Do not settle with any agents that contact you, unless you are 100% confident that you feel perfect and will stay that way. And remember, NO RECORDED STATEMENTS. As soon as possible, contact a Chiropractor, Medical Doctor or Naturopath that is familiar with managing auto accidents, and is open to referring you to other practitioners for the best possible care. Do not delay. Be diligent with your treatment plan so that you can get back to 100% as quickly as possible. It is also important for your insurance company to see that you are taking your recovery seriously. If your case becomes complicated and you are concerned about exceeding your coverage, contact an Attorney. Your Doctor will often have a referral for a good one. There are several criteria to consider in choosing the right lawyer, but that bridge can be crossed when the time comes. Be patient and optimistic with the recovery process and know that you may be receiving some care every day of the week for a period of time. Be prepared to adjust your schedule to prioritize your health. Keep a daily log of the amount of time you spend dealing with all elements of the car accident. Document everything from the time on the phone with agents, the auto shop, providers and lawyers, to your appointments, as well as how you are feeling each day. This will all be very helpful in your final settlement. So go get started- you have lots to do. And remember that YOUR BODY IS WORTH IT!